Jailed property tycoon Nicholas van Hoogstraten has won permission to appeal against his manslaughter conviction. The multi-millionaire's legal team are applying for bail on his behalf and claim that he could be out of prison within 48 hours. Van Hoogstraten's legal advisor, Giovanni di Stefano, said he was confident the 10 year sentence for the manslaughter of rival businessman Mohammed Raja would be overturned. He said: "The indication is now very strong that Mr Hoogstraten was wrongly convicted." 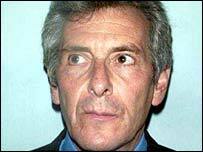 Van Hoogstraten was jailed for ordering two hitmen to threaten Mr Raja, a former business associate, who was shot and stabbed to death at his home in July 1999. Mr di Stefano said he was told on Tuesday that Van Hoogstraten, 58, had won leave to appeal against his manslaughter conviction at the Old Bailey last year. He said an application for bail would be heard in the High Court in the next 10 to 14 days, but added: "Technically, bail could be granted within 48 hours." Since his conviction Van Hoogstraten has been fighting his case from his cell at Belmarsh Prison and has written to the judge, Mr di Stefano said. "This is a man who was charged with murder, tried for murder and acquitted of murder but then convicted of manslaughter on the flimsiest of evidence and even that now seems to be in serious doubt," he said. Mr Di Stefano said it was time for people to reassess their views of Van Hoogstraten's "controversial character". He said: "He has not helped his cause with some of the controversial comments he has made which are not necessarily within the framework of everyday society, but that does not make him a murderer. "He has built himself from nothing and has employed a lot of people along the way." Mr di Stefano also argued that Van Hoogstraten, contrary to reports, had not threatened anybody since his conviction. He said: "He has not threatened the judge or the police. "He has written to the judge regarding the conduct of the case. Threats no, criticism yes." In a letter sent to a Brighton newspaper last month Van Hoogstraten revealed that he was writing a book about his case. He said: "I will have to employ the services of a professional to put it all together and give it some flavour but that is now my main raison d'etre in this whole sordid affair." Robert Knapp, 55, of Co Limerick, and David Croke, 60, of Moulsecoomb, Brighton, were both jailed for life for Mr Raja's murder. They were identified at Van Hoogstraten's trial as being his henchmen.